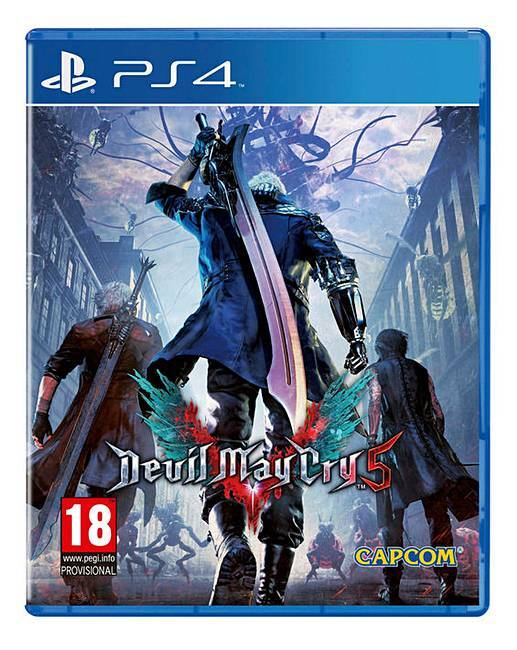 10 years after Devil May Cry 4 was released, Devil May Cry 5 was announced and will welcome back Nero for even more destructive demon action than before. He returns with a new mechanical arm which hosts a variety of epic destructive ways to blast the demons away. Prepare for an intense mix of high-energy action with sass and an abundance of demon slaying. It's frantic, fast and lots of fun. Pick from three playable characters, including Nero, Dante and a mystery figure, as you battle the demonic tree that is invading the world at a rapid and dangerous pace. Pre-order Devil May Cry 5 on PlayStation 4 today. We aim to deliver your order within 3 working days, providing that the items are in stock at our own warehouse, or by the time indicated if being despatched directly from our supplier, larger items requiring 2 man delivery will be booked in for delivery by the carrier after despatch.